When DC Universe Rebirth #1 first released, it changed everything about the DC Universe. Everything that fans loved about the Pre-New 52 universe with the landscape of the New 52 that was built over 5 years, was combined into something that was loved by everyone. 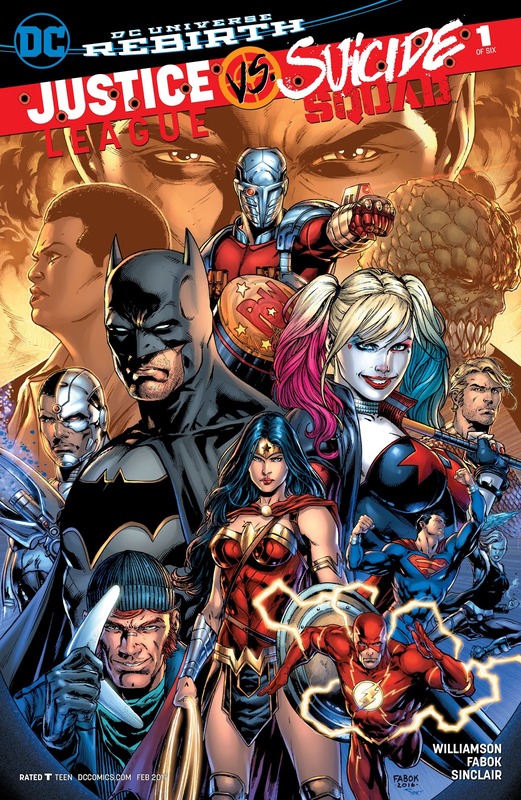 Almost 7 month’s later, Rebirth’s first event “Justice League vs Suicide Squad” drops and ends what is essentially Phase 1 of DC Rebirth. Now, in the aftermath of the event, things in the DC IUniverse haven’t really changed, more or less. Nothing about the reveal of Dr Manhattan’s interference with the timeline was answered. Instead, the event was a more grounded one and it still has effects that will ripple throughout the comics. Now let’s dive into what made the event work and what made it stall. To start, the event was hit and miss. On one hand, the artwork was pretty good except for a couple panels where it looked as if the artist was rushing to meet a deadline. The dialogue was lacking in certain scenes, especially during the fight between the two teams. Those were the mediocre aspects of the series; what really makes the event shine is what happens during the event. The villian, Maxwell Lord, assembles a team of prisoners that all have a grudge against Amanda Waller and the reason behind this is beautifully told in a tie-in. It retcons a couple details about the Suicide Squad but it adds more to this lore of the team of super villians made to work for the government. The tie-ins for this event did a extremely good job at showing what really set this into motion. Maxwell’s origins was told again and solidified his motivation behind his scheme, being very close to his original origin story. Establishing Max’s team was also done well, bringing back classic Lobo and doing him justice. The only weak one was the Justice League tie in, in which we are the chaos of the final battle from the eyes of Steve Trevor. It doesnt need to be read in order to read the main titles without confusion. Overall, the event was a success (barring a couple issues with the art and dialogue) and nonetheless bringing Rebirth into its next phase. Hopefully, some actual answers to the time manipulation of the DC Universe are answered, which will begin in the next DC crossover between Batman and The Flash, called “The Button”. I rate this series as a 8.5/10.